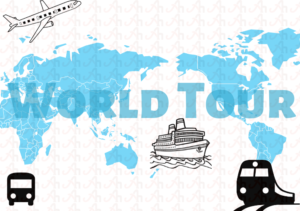 For numerous people traveling and long tours are just a stream to acquire pleasure and excitement but there are some people who view the process of traveling and tours as a business industry which is globally known as tourism. We all agree to the fact that taking tours to your favorite destination lessens your exertion and enhance the enjoyment. If we speak about the World Tourism Day, it is a day that is celebrated in 27 th of September every year. This particular day is commenced to draw the attention of international communities towards the significance of tourism. Places around the world, whether it is a huge or small country depends a lot upon the tourism to sustain economic growth and spotlight their unique culture and tradition. Political and social aspects are also linked with tourism. 27 th of September is the date chosen as World Tourism Day because on this day statutes of (UNWTO) United Nation’s World Trade Organization were adopted. On this particular date 27 September 1970, the International Union of Official Travel Organization (IUOTO) retained a relevant assembly in Mexico City and approved the statutes related to the organization of the World Tourism Organization. The official recognition of World Tourism Day was adopted after 10 years in the year 1980. If we talk about the present scenario, the chief purpose of World Tourism Day is to accelerate and enhance its profile and figure in the eyes of the general public and to showcase them the impact of successful tourism on the economic aspects and growth of a particular country. At a session in Istanbul, Turkey in October of 1997, the General Assembly of United Nations World Trade Organization took a decision to appoint a host country annually to proceed as a partner amid the huge celebration of World Tourism Day. Europe was chosen as a host in the year 2006 and in the year 2011, the Middle East was chosen. The fundamental objective of celebrating World Tourism Day is to elevate public awareness and cognizance on the role and responsibility of tourism and to showcase the relevancy of tourism industry. The aspects of tourism industry comprise aspects to spread the cultural, political and economic values all over the world. It also enhances the feeling of respecting numerous traditions and cultures.